This morning we left Les Saintes at a little after 7am. It was a motorsailing day with winds less than 10 kts which means the waves were <1 feet. That means it was a VERY comfortable sail which I loved. We traveled 23.4nm to get to Pigeon Island in the Jacques Cousteau National Park. My friend Janet said it was worth snorkeling so snorkel we did. I did put on my shortie wetsuit for extra flotation and a little warmth as I admit I'm a wimp with slightly cool water by my definition. All the yellow mooring balls were taken, so we picked up a white one close to the smallest island. It’s about 20+ feet deep at the ball and then between the island it’s shallow so you can stand. We did see many fish, queen trigger fish, Sargent majors, small groupers, parrot fish, snappers and many kind of corals. It’s the best we’ve seen but nothing was as good as the reefs in Belize. I finished first and just as Phil was coming up to Changes, the park Police, as evidenced by a card that said “Police” said that we weren’t suppose to,be in the white mooring balls as they are for dive boats. Well, we were done anyway. I rinsed off and washed my hair in the head and then we were off. Originally, we were going to anchor in the harbor nearby but as it was only 1145am and we didn’t like the look of the anchorage, we decided to make the <10 mi trip to Deshaies (Day Hey). Vision Quest was a couple miles behind us once we were swimming and once they couldn't set their anchor a couple times, they decided to follow. This too was a nice motoring ride with Phil going down below for a rest. By 130pm we picked up the last mooring ball for boats up to 13 meters. I'm glad we got one. It's really crowded here and as I sit typing this post, a catamaran is anchoring at 625pm in the last light of dusk. No lights lit on their boat yet. It must be a chartered boat trying to get everything they can from their vacation. Not like us always glad that we left early. We have never said we were sorry we left too early. After talking with Bob and Jeanne at Vision Quest about plans for tomorrow, Phil and I decided to go to town to see if there are any guides to tour the northern part of Guadaloupe tomorrow and to get more Euros. We walked up and down town looking for aN ATM Machine and didn’t see one. We did see the closed tourist office. We talked to the clerk in a tourist shop who said the cash machine was broken and Phil wrangled it out of her that it was located at the post office. As we were walking down in the direction we hoped the Post Office would be, we said Hi to a couple in a bar and they said Hi back in English! Wow!! Then we stopped to talk to Andy and Linda from England in a town north of Manchester almost to Scotland but on the east coast. 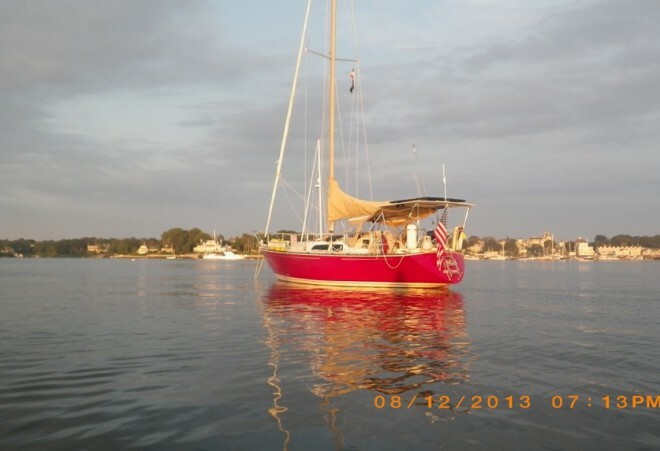 They have been cruising for 8 years and had cruised on the Chesapeake Bay. Linda had crossed the Atlantic in 1979 on a 29′ boat. They didn’t say what Andy was doing at that time. We we got back to the boat about 430pm and I started warming up left over black beans and rice and Phil cooked hamburgers on the grill. We watched the sunset and saw a small green flash, our third for the season! There continues to be not any wind which makes it feel very warm and when a 7 kt gust comes it is very welcomed. We are planning on sailing to Antigua on Tuesday with Walkabout pending weather forecast from Chris Parker. This entry was posted in 2015, anchorages, Caribbean, Deshaies, Guadaloupe, mooring field, Passages, Pigeon Island, Places Seen, Snorkeling and tagged Jacques Cousteau National Park, Vision Quest, Walkabout. Bookmark the permalink. Sounds beautiful Lorraine! What is the “small green flash” you see when watching the sunset? I think it’s the bending of the light around the earth from the sun. 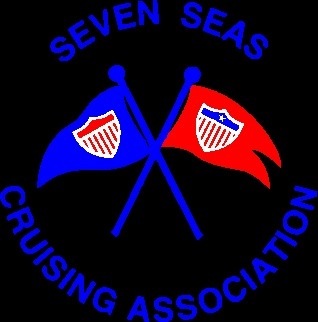 We talked about it the other day with other cruisers but don’t have a clue. Will have to Google it to find out. We have seen it at home when looking out over Lake Erie with an unobstructed view and a clear horizon. You will have to go to Lake Erie on a clear day with no clouds on the horizon and watch the sun set. It’s the color the sun turns just as the last little bit slips behind the horizon. Clear day with no clouds and no obstructions is the key.